The largely forgotten Cinema Now movie streaming service, once acquired and then sold by Best Buy, appears to have launched a promotion in cooperation with Roku… that seemingly announces the Roku 4. Or a line of 4k Rokus. Hard to tell if this is a clerical error or true indicator that a Roku 4 set-top and 4k-streaming Roku TVs will be available real soon. But the timing certainly seem reasonable. Of course, given what Amazon is doing with the new Fire TV and what Apple has neglected with their new hardware, I’d think an upgraded Roku would feature 4k UHD streaming resolution (in conjunction with beefed up processing power and memory). UPDATE 3: What I believe to be the “real” Roku 4 (4400) has just passed thru the FCC. From the filing itself, we’ve learned it gains new wireless capabilities, including Bluetooth and dual band WiFi with support for 802.11 a/b/g/n/ac. Beyond that, we see a brand spanking new reset button – which could give a sense a scale and might suggest the Roku 4 is larger than than the existing Roku 2/3. Of course we assume this Roku 4 will stream 4k content and, rumor has it, that it’ll also pack a beefed up 2GB of memory. If the filing isn’t proof enough of a new unit, a 4400x has been showing up in app developer usage logs. UPDATE 4: AFTVNews has turned up a new box … which we now know for certain is called the Roku 4. Of course, we still believe it’ll feature 4k streaming. But hopefully there are some other things going on here worthy of an upgrade, as Roku remains my preferred streamer. I will buy one when a 4K device is announced. I’ve already got a Fire TV preordered. I will need to see if they have made some big improvements over the Roku3 before I commit to buying the Roku4. TiVo, Roku, FireTV, etc., don’t plan on upgrading any of them. Current versions of all of them are fast enough so that any increase in responsiveness is likely to only be minor. I understand the need for continued improvement and the release of new products but honestly these things are becoming like a computer – you buy one when the old one dies not because they release a new one. I understand those buying new 4K/UHD TVs may at some point want something new but for now any 4K/UHD TV worth buying streams any available 4K/UHD TV just fine. Whether or not this is a typo on Cinema Now’s part, it’s hard to see how Roku DOESN’T update their offerings before the all-important Christmas shopping season commences, given that we already know there will be new Apple TVs, Amazon Fire TVs (with 4K), TiVo Bolts (with 4K), plus quite possibly new Chromecasts and Nexus Players (with 4K?) to be announced by Google on Sept. 29. If Roku doesn’t update, they’ll be the only noteworthy streaming platform (outside of dedicated game systems) to offer stale hardware this holiday season. And I’m sure the Roku 4 won’t pass up the branding opportunity to associate that “4” with “4K”. The next Roku will offer UHD, bet on it. Makes sense. AppleTV and FireTV both refresh in October. Google is holding an event on September 29th when they will announce the Chromecast refresh (essentially confirmed) and probably a Nexus Player update with Marshmallow (not confirmed), they’ll ship October too. Roku needs to strike while the iron is hot, before people decide on their next media streamer purchase. Dave, Cinema now took down the page. It’s definitely not a clerical error. Since the page has been pulled, I went ahead and updated my link in the story to point to the Google cached copy. Further supporting the idea that the Nexus Player will soon see a refresh, Best Buy is currently blowing existing inventory out at 50% off. So if you need a quad-core Android TV streamer that can’t do UHD, there you go. Looks like it’s about $76 at Walmart but still the regular $99 at Target, Abt, etc. $50 is a new low and pretty cheap for its specs. Android TV is still a bit light in apps though. AndroidTV is missing HBO GO, HBO NOW, and Amazon instant streaming, yeah. It has everything else. HBO is supposedly coming soon, but not here yet. Also, glad to see Roku is (partially) supporting my preferred “4K” spelling over the most definitely incorrect “4k” that all the hipsters are going with. Interesting point on the Roku forums wondering if the updated 4k Showcase info could be specific to new 4k Roku TVs. I’d say 4k streaming is inevitable on both, but who knows if they’ll hit together. I have a 4k tv but witouht hevc decoder so I’ve been waiting for this for a while. What will be interesting to keep an eye on is whether HEVC ultimately, in fact, turns out to be the broad industry standard for UHD/4K. So far it’s what Netflix and Amazon (the only UHD providers worth noting) are using to stream UHD, although YouTube/Google is pushing the open source VP9 codec. I’m reading that new demands by the patent holders for HEVC to receive 0.5% of streamers’ gross revenues is a big turn-off, prompting content owners/streaming providers to consider other possible codecs. (This may have been a factor in Apple’s decision to delay UHD adoption.) By the time all this settles out and UHD transmission becomes truly widespread in a few years, we may see TVs and set-top boxes shipped with hardware decoding for a different codec, with only a few providers like Netflix and Amazon still offering HEVC-encoded UHD streams to support those legacy devices like the new Amazon Fire and Roku 4. Hoping they go all the way with HDMI 2.0a with HDR streaming for NF, VUDU, and others. Would be amazing if the Roku 4 ends up streaming Amazon Video in HDR too when the Fire TV doesn’t. I’m ready for this box. Hope they really overhaul the app-building and UI tools as well for much nicer looking apps in UHD. I’d love to see a top end box at $129 – $199 with lots of power and features. Does the new Amazon Fire TV not support UHD HDR content? If so, how weird, given that Amazon this summer began offering HDR content and is the only service right now to do so. You’d think they’d want to showcase their leading-edge streaming abilities on their home device. Then again, there are so few HDR sets in use (and all of them likely have the Amazon app built-in), maybe they figured they’d save a few bucks on this new Fire TV and wait to introduce HDR support on next year’s Fire TV. The top Roku is always $99, I doubt they’ll change that. So, hey, Tim, I’ve been paying absolutely no attention to any of this. “UHD HDR” and “HEVC” are Greek to me. (And I could look them up, if I wanted clarity.) But I’m not a bleeding edge guy, so I’ve got plenty of time to figure this all out. But my general interest question is, essentially, who gets screwed as the standards battle plays out? Are current TV panel buyers screwed? Are current “box” buyers screwed? Or both? I’m going to be it starts a bit higher than 99$.. we’ll see though. With the new FireTV being priced at $99, they really need to price the Roku4 at $99 also. If they really want to get a lot traction anyway. Plus Tons of people will already be buying the new AppleTV at $149. They really need to price the Roku 4 under $100 if they want to move units. Hey Chucky, to answer your question, format or standard wars are never a great thing for consumers. That said, I don’t think there’s a lot of risk in buying a UHD/4K TV or streaming box today if the only sources of UHD content that you plan to get from that TV or box are Netflix and Amazon (assuming those apps are on the TV or box when you buy it). If the set or box also supports UHD streaming from YouTube, that’s a good thing and there’s even less risk of premature obsolescence. Right now there’s uncertainty over how UHD will get encoded going forward — whether it’s with expensive-to-license HEVC (the High Efficiency Video Codec, or h.265, which is the successor to the Advanced Video Codec, or h.264, which is what virtually all HD streaming and a lot of HD multicast is currently done with) or with some other royalty-free codec (VP9, Cisco’s Thor, something yet to be developed, etc.). The HEVC patent holders could come back to the table, lower their price, and all this blows over, in which case HEVC will march forward, as we had all assumed it would a year ago, to become the standard codec not only for UHD streaming and UHD Blu-ray but also for UHD over-the-air broadcasts (as part of the currently-being-worked-out ATSC 3.0 standard) as well as for the transmission of UHD channels via cable and satellite. Now, if that doesn’t happen but instead the industry, or several key players, settle on another codec besides HEVC, you’ll start seeing UHD TVs and boxes support that new codec (either in place of or in addition to also supporting HEVC). Several UHD TVs that came out this year support Google’s VP9 codec in addition to HEVC. All UHD content in YouTube is encoded in VP9. I guess the worst case scenario is you buy a UHD TV or box right now that only supports HEVC (but not VP9). You use it to stream UHD content from Netflix and/or Amazon today and then a couple years from now, those services say “Due to the cost of HEVC and the fact that the industry is moving to this other royalty-free codec, we’re no longer going to offer UHD in HEVC, so your TV/box gets no UHD content from us any more.” But I think that’s unlikely. For each title those services currently offer, they create a ton of encodes — different resolutions, different bitrates, different frame rates, different codecs, etc. — so that they can support a lot of different TVs, boxes, mobile devices, etc. with different internet speeds. At this point, Amazon and Netflix have already committed to offering their customers UHD content in HEVC, so I doubt they’ll risk alienating customers by ceasing to completely support that codec any time soon. What’s more likely is that at some point down the road, Netflix and Amazon will also encode their UHD titles with the new royalty-free codec (VP9, Thor, something else). If a device supports that new codec, that’s what they’ll get served. But for older “legacy” devices from 2013-15 that can only access UHD encoded in HEVC, they’ll serve it in that format. Now, as for other players who have yet to offer UHD streaming — HBO, Showtime, Hulu, etc. — they may not jump into UHD until it’s clearer which codec will prevail. And if a new codec emerges, they may never offer UHD content encoded in HEVC, which would mean those additional sources of UHD content would ever appear on the 2015 Amazon Fire TV or any other TV or device that only supports UHD in HEVC. Sorry for the long-winded explanation (assuming you read this far). I’ve updated the post again… some Rokus went thru the FCC. Based on model numbers and photographs, I think it’s possible the 2015 Roku 2 & 3 will be upgraded to 4k with no name change – sort of like Fire TV, with and without 4k. There is a newer Broadcom chip that supports HEVC and VP9. So I would think many devices going forward might use a chip like this so they will be covered for UHD decoding. 1) You know you’re arguing with someone with the name of “Lunatixz”, right? That’s what you see… but that’s not what I’m trying to do. If he really knows, it’s my job to get him to reveal something. No doubt and fair ’nuff. I’ll wait for a UHD streaming standard first, before buying another OTT box. And I hope Roku focuses on improving the build quality of their devices. Only one of my three (bought new) Roku 2 units still works, & last month I had one of my three Roku 3 (Woot refurbs) units fail. i won’t buy a roku 3 period. i’m waiting. So they need to release a roku 4 or it’s fire tv. Me seriously, appletv is too limiting and i’m not paying over $100 for it. Roku 3 is long in the tooth. Right now my wdtv and my 360 play all my content and give me netflix and youtube so i can hold off till the right box comes but right now Roku 3 just isn’t in the running because it’s is a bit outdated. So they might keep the same names? WTH? Who started this crap? That makes it so confusing trying to keep track of models when you have different versions with the same name released in different years. If 175 words just whet your appetite, I spent about 20 minutes on the Cord Cutting show talking Roku 4k. derrick, aaronwt, the tea leaves aren’t entirely clear. There could be a minor internal refresh of the existing models PLUS a new Roku 4. What’s clear is that 4k is coming in one form or another, sooner rather than later. I hope the ‘sooner’ includes a streaming box (versus Roku via a 4k TV partner). 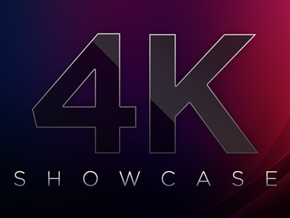 While anything is possible, I find it next to impossible to believe they’ll roll out a 4K panel while not rolling out a 4K box. Just doesn’t make sense to me on a variety of levels. Too bad it’s just going to stream 4k content rather than the superior 4K content. Given the Roku refresh cycle, we can probably expect an upgrade from k to K within a year. That link got you a legit LOL. They cant simply upgrade Roku 2 and 3 to 4K. Thats silly. Cause it is a hardware change. In order to stream netflix you need HDMI 2.0 Plus HDCP 2.2 or it wont work. Uh… the only reason anything goes through the FCC is because it’s *new hardware* that requires certification (although specific to wireless, it typical signals additional changes). Which is unrelated to reusing product names. See Apple TV and Fire TV. I didn’t look at the updated 2/3 filings too closely, but perhaps they’re going to gain the same Bluetooth capabilities of the new 4 (4400x) — perhaps facilitating another stab at Roku gaming along with a gamepad?